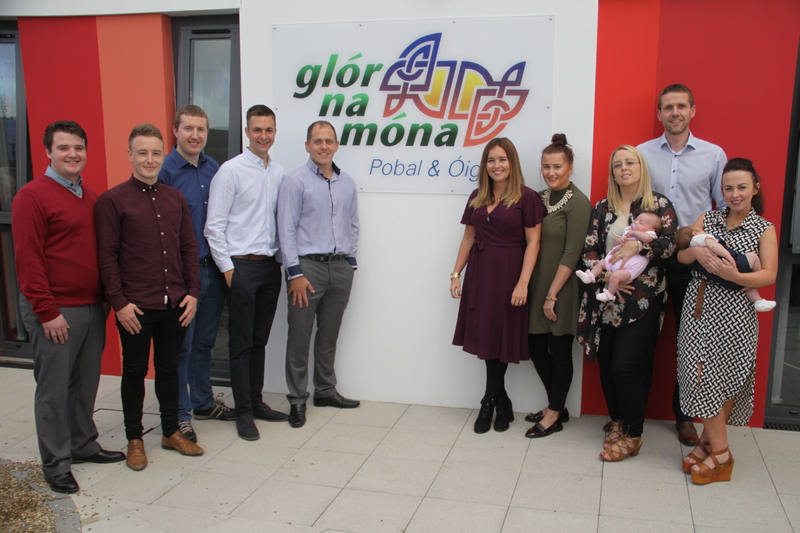 I’d like to take this opportunity to welcome you to the new look website of Glór na Móna, the Irish language and cultural group based in Upper Springfield, West Belfast. On this site, you can find out more about our jam-packed Autumn Programme, where we hope to build on the success of this year’s fantastic Spring programme. In January, we took the decision to become self-sufficient in order to drastically reduce what Irish language students from our community pay for accredited language courses. Up until this point, like most Irish language groups across the city, we registered our courses with Queen’s and BIFHE adult learning institutions and this meant that people were paying up to £90 for 15 week courses. People in working-class areas such as our own, simply can’t afford this type of money. Last term, however, we provided our own accredited 15 week courses for a fee of just £30, which worked out at exactly £2 a class. This culminated with a fantastic free trip to the Donegal Gaeltacht, where over 50 students enjoyed a great weekend in Teach Jack. This program, which is undoubtedly our most ambitious to date, follows the same template. We recognise that there can be more to learning Irish than merely attending a class. We have an holistic approach to the learning of the language and offer students the chance to reclaim their Irish identity by becoming involved in the cultural revival at whatever level they are most comfortable. This year’s Autumn programme is packed with new and innovative courses in addition to our main language classes from level 1 to 5. With guitar classes, history classes, A’ level classes, the Irish Medium Youth Club, Youth Work training, community lecture series and Féile Gaeilge le Bród in November, we have something for everyone. We’re appealing to people in the Upper Springfield area and beyond to avail of our committed teachers and take this unique opportunity to learn our native tongue in an enjoyable environment. The language is there for everyone to use, promote and learn. Take this chance to join us and play a part in developing our local community through cultural reconquest!